We are still in the second teaching cycle of Mark, so these teachings are about our inner life and faith (less so about external, social justice teachings). In this seeming hodgepodge of scriptural sayings, there is a connection. As we prepare for this coming Sunday, note that the word translated for stumbling block is the Greek word for scandal (eskandolos). Also, the things that Jesus mentions as “better than being in hell” represent some of the worst fears that people in Jesus’ time would have had. Each of the sufferings that Jesus mentions (drowning and physical maiming) would have had huge social consequences for them. What are the anxieties that we bring to our faith life? How do we allow or create our own stumbling blocks? Note that the end of these sayings is the word of Peace. 1st, 3rd and 5th Monday evenings: 6:30 – 8:30 p.m.
Tuesday afternoons: 3:00 – 5:00 p.m. Please note that Rev. Fairfax is generally available for pastoral concerns or other church business at most other times as well, so don’t hesitate to contact him outside of these office hours. Please drop by the church or contact him: 508-801-7294 (cell)/617-625-4823 (office), pastor@clarendonhillchurch.org. Our next fellowship event will be apple picking, on Saturday, October 3rd. We’ll meet in Stow, MA at Shelburne Farm at 1:00 p.m. We’ll meet by the entrance to the store to enjoy apple picking, cider doughnuts, ice cream, music, farm animals, a hayride and a chance to pick out a pumpkin! For the kids, there is a moon bounce, pony rides, a tractor playground, or a hay climbing mountain. See more at http://www.shelburnefarm.com/. If you need more information, or a ride to this event, please contact Ellen (ellends1313@gmail.com). Everyone is invited! On Sunday, October 4th, we will celebrate World Communion Sunday. The collection of the Peace and Global Witness Offering (formerly know as the Peacemaking Offering) takes place on that day also. The scripture for this year’s offering is from Ephesians 6:23: “Peace be to the WHOLE community, and love with faith.” Gifts to the 2015 offering will support Syrian refugees, specifically, for the children to resume their education in camps in Lebanon. Please give as generously as you are able. The Deacons will meet on Sunday, October 4th, after coffee hour in the Green Room. Once a year, the Nave Gallery collaborates with the Clarendon Hill Presbyterian Church to create a social justice gallery show, underscoring the assertion that art is a vehicle through which conversations on social change can be held, compelling people to action. The exhibition will be part of the Learn to Talk Social Justice Series organized by the CHPC from September through November, including opportunities for action, education and reflection. The reception for the opening of the show “Embracing Differences” will be in the Nave Gallery on Sunday, October 4th, from 3:00 – 5:00 p.m. The show will be up from October 4th through October 31st. Monday, October 5th — hosted by Clarendon Hill, from 6:00 to 8:00 p.m. The City of Somerville is organizing a series of community conversations around racism and discrimination that have been brought to the fore by recent violent events and the work of the Black Lives Matter movement. We are hosting one of the first conversations here at our church, moderated by our pastor. Please attend if you can, as we expect many of our neighbors in the neighborhood to come and be part of this important time. On Wednesday, October 14th, the Session will meet at 7:30 p.m., in the Green Room. Somerville Poet Laureate Nicole Terez Dutton will give a reading on Sunday October 18th, in the Nave gallery during the afternoon from 4:00 – 5:00 p.m. A community reception will follow. Nicole Terez Dutton’s work has appeared in Callaloo, Ploughshares, 32 Poems, Indiana Review, and Salt Hill Journal. Nicole earned an MFA from Brown University and has received fellowships from the Frost Place, the Fine Arts Work Center, Bread Loaf Writers’ Conference, and the Virginia Center for the Creative Arts. Her collection of poems, If One Of Us Should Fall, was selected as the winner of the 2011 Cave Canem Poetry Prize. She lives in Somerville, Massachusetts where she serves as the city’s inaugural poet laureate, and she teaches in the Solstice Low-Residency MFA Program. All are invited to attend. Our guest preacher on Sunday, October 25th will the Rev. Michael Trautman, Pastor of First Presbyterian Church in Ferguson, Missouri. Sunday, October 25th : Presentation and Panel Discussion (5:30 to 7:00; reception at 5:00): “Learning to Talk in Ferguson and Boston: Critical conversations among faith communities”. Rev. Michael Trautman (First Presbyterian Church of Ferguson, Missouri) and the Rev. Laura Ahart (Pastor of Jamaica Plain United Baptist Church). The next Deacons meeting will be on Sunday, October 4th, after coffee hour, in the Green Room. The Deacons are in the process of setting up an online prayer request list. This will be a closed group (to insure privacy.) If you would like to be a member of the group so that you can ask for prayers, and have others pray for you, please send an email to Ellen (ellends1313@gmail.com). Once we have everything set up, we will share information about the group with the congregation, so that others can join. Sunday, September 27th at 3:00 pm in the sanctuary, as the second concert of the Nave Gallery Music series for this fall. The members of the group are musical diplomats, having spent time this summer developing a music school for orphaned girls in Afghanistan. They are highly accomplished musicians, and they will be featuring a world premiere of Gullistan-e Nur “The Rosegarden of Light” by British composer Sadie Harrison, performed on traditional Afghan instruments with string quartet. For more information on this group and their mission, seehttps://www.facebook.com/navemusicsomerville and/orhttp://www.cuatropuntos.org/. 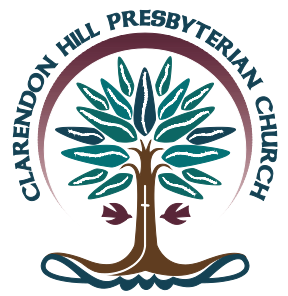 Clarendon Hill Presbyterian Church is pleased to announce its annual series of social justice events for 2015. Partnership with The Nave Gallery underscores the idea that art is a vehicle through which conversations on social change can be held, compelling people to action. Readings by Nicole Terez Dutton, named earlier this year as Somerville’s first Poet Laureate. Reception with the artist to follow. Her collection of poems, If One Of Us Should Fall, won the 2011 Cave Canem Poetry Prize and was reviewed: “every poem is unsettling in that delicious way that changes and challenges the reader.” Nicole Terez Dutton lives in Somerville and teaches in the Solstice Low-Residency MFA Program (nicoletdutton.com). Visiting from Ferguson, Missouri, Rev. Michael Trautman of First Presbyterian Church in Ferguson will share about the work of “One Ferguson”, a diverse gathering of people and organizations dedicated to re-creating the Ferguson community through “citizen engagement, empowerment, and accountability” (oneferugson.com). And from here in Boston, Rev. Laura Ahart of the United Baptist Church in Jamaica Plain will share about ministries at the Nashua Street Jail, her church, and the work of the Criminal Justice Committee for the Black Ministerial Alliance in Boston (bmaboston.org). Both will engage each other and the audience about religious groups responding to race and injustice in our communities. Sunday, September 20th: We will meet in the Green Room after coffee hour. Jesus said, ‘When two or three are gathered in my name, I am there.” Bring your prayers about whatever joys or concerns you may have on your mind and in your heart. All are welcome to attend. Our next fellowship event will be apple picking, with a tentative date of Saturday, October 3rd. Everyone is invited! Save the date, and look for details to follow. Is life purposeful? What kind of life has meaning? I think these questions are at the heart of the encounter of Jesus with his disciples and the “crowd” in today’s scripture. In particular, focusing on the notion of suffering and what personal and collective suffering might mean for purposeful living is useful preparation for this week’s worship. Text and Context Notes: In preparation for this week’s sermon, it is good to note that this passage marks the beginning of a “gentile/greek ministry cycle” (7:24 to 8:9) in the gospel, whereby Jesus reaches out to non-Jews in a direct way. The passage occurs in what we would call Lebanon today, and then Jesus and the disciples travel around the northern part of Galilee to reach the region of the Decapolis (a gentile area on the other side of where Jesus’ ministry has occurred to this point). The “second” feeding of the multitudes in this Gospel is to a large crowd of Gentiles. The direct parallels in the preceding Jewish Galilean ministry cycle are 5:21-43; 6:30-44. The healings of the daughter of Jairus and the “daughter” suffering from hemorrhaging are instructive to the healing of the Syro-Phoenecian’s daughter. Also note how Jesus affirms the rights of women in these passages. On Sunday, October 4th, we will celebrate World Communion Sunday. The collection of the Peacemaking Offering takes place on that day also. There are things to be gathered from this passage about grace falling from the table (i.e. the communion table) that is at the heart of our status before God. In this and many related passages, the focus is on being “satisfied” (see notes below) by God’s “bread”. How does God feed us this bread? Do we receive it every day? At all times? How are we sustained by God’s bread? Here’s more information about the art show, curated by members of the congregation, as part of Clarendon Hill’s Learn to Talk Series, this coming fall. We encourage anyone who is interested to submit artwork for this show! We want artists whose work speaks to: racism, sexism, LGTB,environment, homelessness, or poverty, and so much more! Is inequality the defining issue of our time? How does injustice show its face in our community? What impossible heights can we achieve as a society by embracing difference as strength? Racism, sexism and economic inequality are still systemic and deeply personal in America today, both influencing and influenced by global inequities. What does it take to mend the things that divide us? How do we let in the light? The Nave Gallery seeks submissions that express an appreciation of the complexities of our differences, expose societies isms/schisms, and reflects the dreams for peace with justice in this world. We will consider works in the following media: painting, sculpture, photography, digital, mixed media, installation and performance.